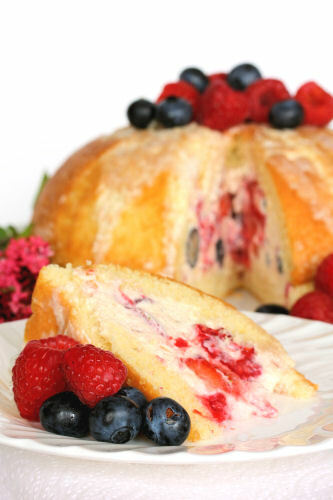 Cherrapeno: Summer Berry Pudding, Deliciously Different! 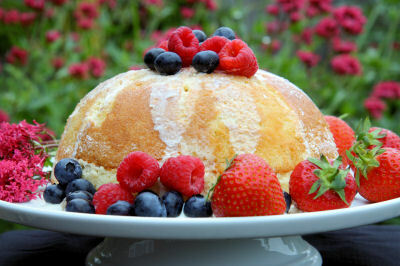 Before the strawberry season comes to an end, here's my summer pudding with a difference. It's a great way to use fresh summer fruits, you can vary the quantities and put whatever fruit takes your fancy. Try using fresh peaches and blueberries, or strawberries and bananas - the combinations are endless. I made my own sponge cake using the same ratio in weight of butter, sugar, eggs and cake flour, but a store bought sponge cake is just as good, and makes this dessert extremely quick and easy to throw together. We actually prefer this over the traditional summer pudding which I think can be rather sloppy. This is more of a cross between a cake and a summer trifle. A great dessert for entertaining. Quick and easy, especially if you use a store-bought sponge cake. A thinner sponge works better. If you like, you can add an extra tablespoon of the liqueur into the whipped cream for a slightly boozier version. 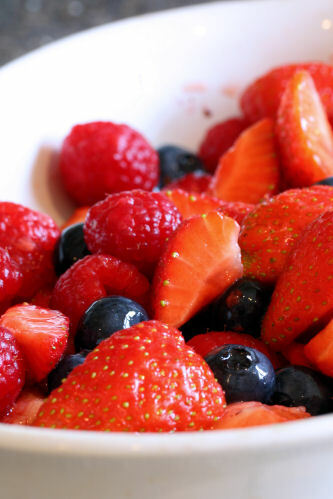 Slice the strawberries into quarters and put into a bowl with the blueberries and raspberries. Pour over the liqueur and caster sugar, stir and leave to marinate for 15-20 minutes. Line a large pudding bowl with cling film. Slice the cake horizontally and then take one half and slice it into wedges. Line a pudding bowl with the cake wedges. 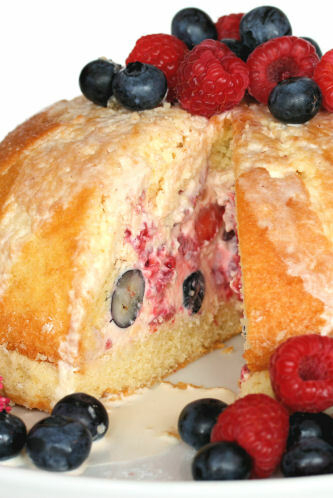 Strain the berries and brush the juice over the sponge cake, reserving some for the top. 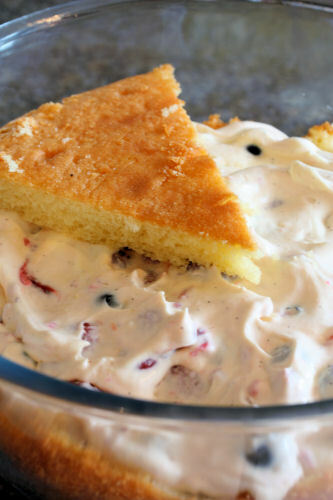 Fold the berries into the whipped cream and pile into the sponge-lined bowl. Top with the the other half of sponge cake, you may need to cut it into wedges to fit into the bowl. Brush with the remaining liqueur juice. Cover with cling film and lay a small plate onto the top of the bowl to flatten it a bit. Pop it into the fridge until needed. To serve, remove the cling film and turn the pudding out onto a serving plate. Dust with icing sugar and serve with single cream. Oh my goodness! This looks amazing :) Great for the heat of the summer! This is just gorgeous Nic. It reminds me of an Italian dessert I have had in the past. Nic this looks amazing! A great idea. wow, your pud looks divine! That sounds lovely, and far far nicer than the traditional summer pudding. Personally I cannot stand the texture of all that soggy bread! this looks lovely, nic! many of the summer puddings i've seen are so saturated with juices that they just look sloppy, but yours is perfect! Oh now that sounds like my sort of pudding and nice as summer pudding is, I think I'd take a slice of yours over that if they were both offered together. It looks so pretty too and so much less sloppy than a trifle. Looks like a perfect summer dessert! As much as I like summer pudding, yours looks far more tempting! My kind of dessert it looks wonderful and vibrant. This is an amazing dessert! You created something truly beautiful and I'm sure it taste wonderful!